Since this is my “Author Site,” I like to talk about how my poems and stories came to be. The poem I just posted on Read-Aloud, Read-Along with Susan Call Hutchison started a long time ago. No big surprise, I was swinging at the time, in a backyard swing at my Uncle and Aunt’s. My father, mother, sisters, cousins and my grandparents were there for a Fourth of July picnic. Dad and Uncle Bill were setting up the charcoal grill. Grandma had made her famous potato salad, and somehow Aunt Joanne was keeping an eye on all of us kids, and getting everything ready for an outdoor celebration. My nickname back then was Skeeter. Daddy said I couldn’t stay in one place longer than a mosquito. But that day, I was happy to be on the swing. I was pumping as high as I could, enjoying the back and forth sensation, and singing along to the rhythm of the movement. 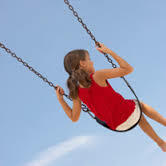 I can still hear the tune that I sang my little rhyme to: Swing high on the Fourth of July! And I remember thinking, “I will sing this song every Fourth of July for the rest of my life.” That may even have been the seed of Year-Round Read-Aloud, Read-Along Rhymes: Celebrating Holidays and Seasons. The anticipation was intense. 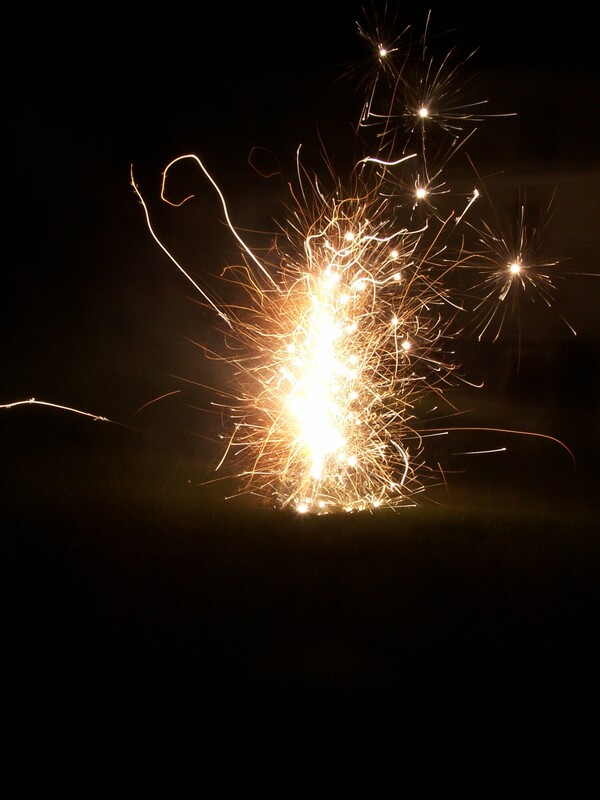 My mind kept going to those boxes of sparklers Daddy had bought home. We were allowed to light them only this one night of the year. Why did it take so long to get dark? Little did I appreciate our freedoms on that day. If I had heard about war, it was something from the movies, or the story about the Star Spangled Banner — something ages ago. I was too young for the perspective of how recently WWII and the Korean War had affected everyone at our picnic. And the Declaration of Independence seemed like something from ancient history. But then, so did my grandparents. So as I sat down last year to add an American Independence Day poem to my book, I automatically heard my little swinging song, and felt again the anticipation of that long-ago celebration. I worked with the “Swing High” theme, and added flags flying high, and fireworks soaring high. I hope I also captured some of the appreciation for liberty that has come with maturity. The desire to celebrate, and being thankful for the freedom that allows me to, blend in this newer “song”. Pretend we’re sailing to the sky. Grandpa’s setting up the grill. It’s too exciting; I can’t sit still. Swing high, on the Fourth of July! Free to swing as high as I dare. March in the parade for the Fourth of July! Glitter as all the floats pass by. To celebrate out in the sun. And flags are flying everywhere. Fly high, on the Fourth of July! Free to fly for all to view. I celebrate on the Fourth of July. And I want to shout my thanks to the sky. Finally, finally, now it is night. Soar high on the Fourth of July! Telling the story of freedom once more. Update: In 2014 I took the little tune I’d sung in the 60’s and expanded it to the song it now is. Click on this dotted line to hear the song! This entry was posted in Children's Books, Fourth of July, Patriotism, Poem, Read-Along Books, Read-Aloud, The Writing Process and tagged Children's Poem, Fourth of July, Read-Aloud. Bookmark the permalink. What a wonderful memory and poem! It’s awesome how you thought that you’d sing the song every fourth of July for the rest of your life–and that you are still singing it. It’s amazing how seemingly random thoughts can be so firmly imprinted in an 8-year-old memory. (I also have some similar really strong memories from my childhood). Thank you, Sheryl. Did you know you would be a writer when you were a little girl? Well, Sheryl, you are connecting a lot of us who are interested in history and family stories! You are a tele-web Operator. Such a great story, no wonder you repeat it. Thanks. I’m glad it came across well! Lovely story, great photo and a wonderful poem: you bring joy to the world! Thanks for sharing. Thank you so much, Johanna. Sharing joy is one of my key goals. I love the story behind this poem it is amazing, that you were always going to be a writer Susan. Thank you, Kath. Reading aloud as a family and singing together made it seem natural to respond to the rhythms, rhymes, melodies — and harmonies — with my own. What child doesn’t want to mimic the adult world around them? I was so fortunate to have beauty and truth around to imitate. Thank you, Jennifer. I hope you had a great Canada Day! This is delightful. I particularly like the backstory and how in the here and now you wove in your memories from the ‘there and then’. Lovely! Thanks for stopping by, Louise! I’m enjoying your blog so much! True story: I sat down at my computer to do some editing and this program (MuseScore) just opened up. I honestly don’t know how, because I don’t have it on my start page or work bar. But, remembering that I had written this last year, I put “Fourth of July” into the search box. This came up. I almost cried listening to it. It isn’t just the nostalgia. I really do love my country.